KBA FS Ltd has a team of dedicated individuals that are highly trained and committed to providing you with professional advice and exemplary customer service. Between the team of advisers we have over a 100 years experience in Financial services. Below is a short introduction for each of the team together with their contact details. For further contact details please see our "Contact Us" page. Sarah has been in the industry since 2007, starting out as a mortgage and protection specialist and advancing to Financial Planning consultant in 2010. 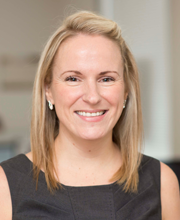 Sarah is a Chartered Financial Planner and Fellow of the Personal Finance Society. Sarah has been named in the 'Top 35 under 35 Rising Stars' by CityWire for 2016 and in the 'Top 25 Female Financial Advisers 2015' by the Financial Times. Sarah specialises in making complex financial matters seem more straightforward. She helps her clients through the use of cashflow forecasting and by ensuring she has a good understanding of their needs and goals, helps them to make the right decisions for their financial future. Sarah specialises in dealing with professionals and the corporate sector for more complex financial planning. She also specialises in areas such as divorce and estate planning. Sarah's interests include travelling, spending time with family, particularly her husband and two daughters and raising money for different charities, both locally, nationally and internationally. She enjoys a challenge and tries to live life to the full. Ken has been in industry since 1987, starting his career with Allied Dunbar. He set up KBA originally as a sole trader in 2001 and has progressed the business alongside Sarah to present day. He has now retired from advising clients. But is still an integral part of the business. Mainly involved in training and development of new advisers. 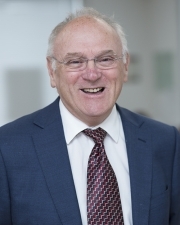 Ken is an avid golfer and enjoys travelling and spending time with his partner, Wendy and his grandchildren. Elysia has been in the industry since 2009 and joined the KBA team in 2015. 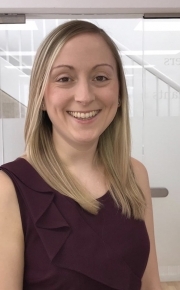 Elysia specialises in all areas of financial advice and helps clients to reach their goals using the latest technology for cashflow forecasting. She specialises in looking after young professionals and entrepreneurs that will be the business people of the future. Elysia enjoys raising money for charities close to her heart, spending time with family, tap dancing and travelling. Dave has been with KBA since Ken started the business in 2001 and worked with Allied Dunbar previous to that. As a full Financial Planning Consultant Dave deals with all aspects of financial advice and builds his business predominantly through referrals due to the exceptional service he provides to his clients. Dave takes an active role in training new recruits and is a credit to KBA. Dave is an avid football supporter and watches his local team regularly. He loves to travel and to spend time with his family and partner, Julie. He has also recently become a Grandad. 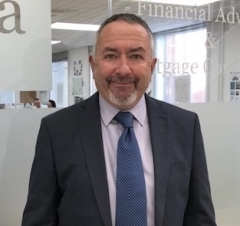 Garry has worked in the industry for 40 years with companies such as the Prudential, Bupa and Friends Life before joining KBA in 2007. He is a member of the personal finance society and is Level 4 qualified in Financial planning through the CII. 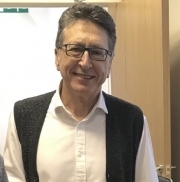 Garry's speciality is Pensions and Retirement planning and he enjoys helping his clients reach their retirement goals. Garry is also a football fan and is a drummer in a local band. He enjoys visiting his family and his first grandchild and spending time with his wife, Lyn. Dan has worked in financial services since leaving university and joined KBA as a trainee financial advisor in June 2018. Dan recently qualified to give advice on all areas of financial planning including pensions, investments and protection. Dan utilises cashflow modelling tools to help clients visualise what they can achieve throughout their financial life cycle. A proud Yorkshireman and avid sports fan. He loves travelling and seeing new parts of the world having already explored Asia, Australia and NZ. Dan plays semi-professional rugby and enjoys playing golf throughout the summer, partial to a G and T on the weekends as well. Karen has been with KBA since 2003. 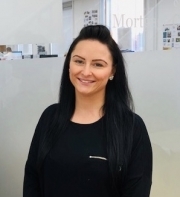 She loves looking after clients mortgages and ensuring that their house purchase goes as smooth as possible by dealing with all aspects of the mortgage process. She also specialises in ensuring that people have protection policies in place for all their needs. She works closely with clients and is always there to help when needed. Karen is a key part of the team and looks after both the clients and the rest of the team exceptionally. Karen loves Rugby League and follows Warrington Wolves passionately. Her other love is for Disney and has travelled to Disney World on multiple occasions. Her daughters share both of these loves and they regularly enjoy watching rugby together. Beccy has been with the KBA team since 2006. She started with the company as a receptionist and has progressed her knowledge to specialise in supporting the pensions and investment advisers. She is currently working towards the CII Diploma qualification. 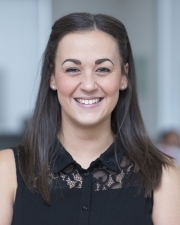 Beccy is technically minded and enjoys the more complicated advice that we specialise in. She is a perfectionist and enjoys dealing with our financial planning clients and ensuring that any recommendations are processed as smoothly and efficiently as possible. Beccy enjoys spending time with family, particularly her son Brody and partner Carl. She enjoys weekends away with family and friends, sampling new restaurants and visiting new places. Sarah has been with KBA since 2012. She has progressed through this time from general administration to Protection Administration Consultant. 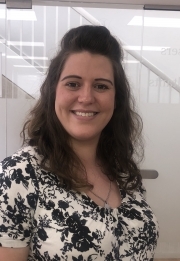 Sarah looks after our clients protection requirements ensuring that applications progress smoothly, liasing with Doctors and helping clients complete any paperwork. She also deals with the business protection clients ensuring that's schemes are set up in a correct way and in an efficient manner. Sarah enjoys spending time with her husband Matt and their son Travis. She enjoys music and likes to attend concerts, she likes to travel to new places. Laura joined the KBA team in December 2016. 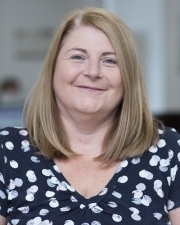 She started with the company in the accounts departments and has progressed to specialise in supporting the pensions and investments advisers. She is currently working towards the CII Diploma qualification. She enjoys spending time with her daughter Phoebe and enjoying life to the full. Tom joined KBA in July 2017. Tom is a Trainee Financial Adviser and is currently working as our Platform Consultant. He looks after the clients that we see on a regular basis who have assets on our investment platform. He ensures they are kept up to date with changes in the industry by sending regular newsletters and updates. He arranges clients reviews and liaises with clients and advisers over any changes that need to be made to their portfolios. 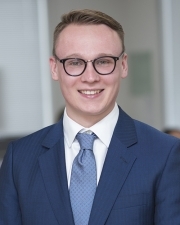 He is currently undertaking an Accounting and finance degree with Manchester Metropolitan University and is on a placement with KBA, after which he will start our training programme to become a full financial planning consultant. Tom enjoys long walks with his partner Maisie and enjoys spending time living life to the full by socialising and travelling to new exciting places. 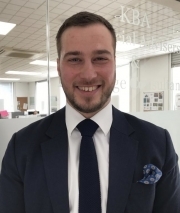 James joined the KBA team in May 2018 as a Trainee Paraplanner supporting the pension & investment advisers, and dealing with clients assets on our investment platform. 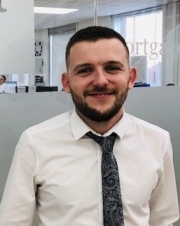 James loves football and supports Manchester United, He enjoys socialising with friends and family and travelling to new places and living life to the full.